There are currently over 250 residential lots on the market in the North Myrtle Beach area alone. They range from $55,000 to $7,500,000. Depending on your investment needs, I would choose lots that are closest to water, whether it be the shore or along the waterway. Established subdivisions such as Tidewater Plantation offer larger size lots in a swim, tennis, & golf community. Other neighborhoods with lots for sale in North Myrtle Beach include: Belle Park, Ocean Pines, Charleston Landing, Pelican Bay, and Sun Colony. Mobile homes lots are available and are located relatively close to the beach; however, insurance can be hard to get as companies are no longer covering manufactured homes with a flood or storm zone. It is best to buy those west of Highway 17. Insurance and pricing are much more attractive there. There's also a lot of new construction and lots available in Little River. In summary, if you are looking for a homesite or land in North Myrtle Beach, we have plenty to choose from. If you need acreage, you can even find that within a reasonable distance from the beach. It's easy to live outside the city limits, and as such, have farmland, horses, and plenty of room to spread out. There are many small ponds in the area and often lots that include one. You can find many gorgeous golf course lots and homesites that are even maintenance free. So give us a call and we can show you all of these kinds of land in North Myrtle Beach. Beautiful Charleston style home community with views of the intracoastal waterway! Community pool and steps to the marina! Build your dream home! Listing courtesy of NANCE REAL ESTATE , Gerry Nance. 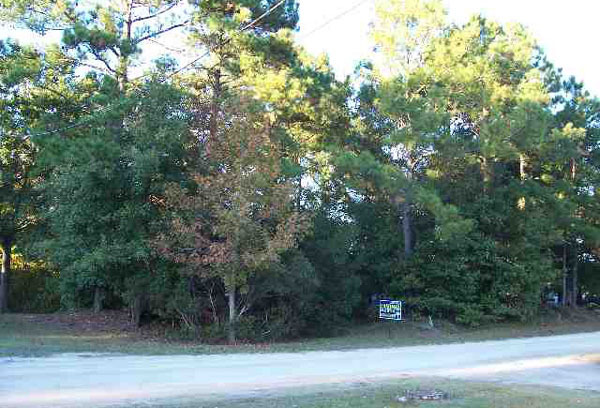 Wooded building lot on quiet street yet still in the middle of North Myrtle Beach. No HOA restrictions - build what you want on your schedule. Listing courtesy of Jones & Roberts Realty & Devel , Jerred Roberts. Large lot east of 17 near the Intracoastal Waterway in North Myrtle Beach. Great location on Little River Neck Rd. Very large, double lot east of 17 near the Intracoastal Waterway in North Myrtle Beach. This 100x120 lot is in a great location with nice surrounding homes.